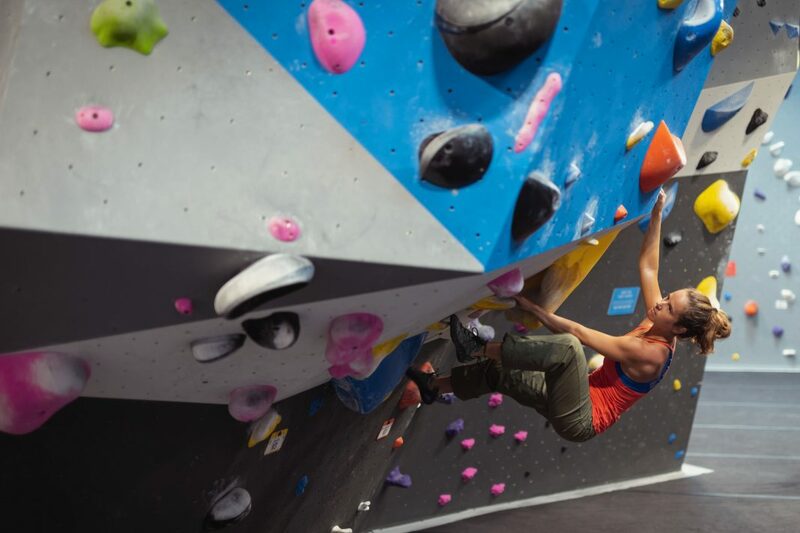 As endurance athletes end their 2018 season and endure Chicago’s winter, they can maintain and improve their fitness at a nearby rock climbing facility. Regardless of how positive a person is, The Windy City’s long, cold days of winter can influence their moods to a degree, especially by the end of February. The winter months are particularly challenging for endurance athletes that would like to maintain their spring, summer and fall fitness levels without being overly bored by the mundaneness of indoor workouts. 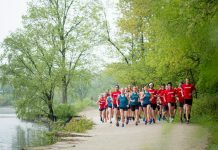 The same old, same old should certainly not be the only form of exercise that endurance athletes consider, especially when there are so many options in Chicago. One option will probably surprise many athletes though—rock climbing. 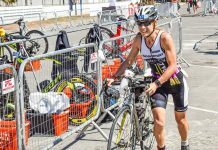 Although it’s not usually near the top of most athletes’ lists with regards to endurance exercising, rock climbing will definitely help them prepare for their next season of marathons, triathlons and so forth. To provide readers more information about this challenging, yet fun (and warm) sport, Chicago Athlete Magazine recently spoke to rock climbing experts who shared their insights on the positives of the sport, as well as the ways in which it can benefit endurance athletes and help them remain in peak form, regardless of Mother Nature’s upcoming plans. Rock climbing is a full-body workout—requiring agility, balance, flexibility and strength—that incorporates a wide array of muscle groups at the same time, from athletes’ back and arm muscles, to their abdominals, calves, deltoids, fingers, obliques and quads. Aside from using a variety of muscle groups simultaneously, rock climbers also discover muscles they never noticed before, especially within a day or two after their first climb. After all, they’re utilizing tendons and muscles they rarely use, particularly back muscles—at different angles (as climbers move up, down and to the side) and intensities throughout each climb. Of equal importance, rock climbing also builds strength and stability in the upper body throughout a wide range of anatomical positions and across all three planes of motion: frontal, sagittal and even transverse. The infinite variability of hold placements and shapes ensures no two routes require the same physical demands of a climber. Not to mention, rock climbing’s impact on forearm strength and endurance, along with core strength and stability, must not be overlooked. As a climbing wall’s steepness increases, more and more core strength is required to keep climbers’ feet firmly placed on the wall. Likewise, climbers’ forearms are also strengthened as routes become steeper and more challenging, thereby improving their performances in grip-specific activities like barbell lifting. Furthermore, rock climbing is highly proprioceptive as climbers are required to push and pull simultaneously with different body parts. Consequently, their body awareness increases considerably as they develop their climbing technique on vertical terrain. Aside from its physical benefits, it’s important to consider yet another positive aspect of rock climbing: socialization. According to Schafer, Chicago’s climbing community is very welcoming to beginners and extremely social, as climbers of all ages and experience levels develop friendships. Bob Good, general manager and operations manager of the Maggie Daley Park Climbing Wall and manager of the Lakeshore Sport & Fitness Climbing Wall, agrees with this sentiment, stressing that the social component of rock climbing is becoming very prevalent. Although rock climbing is not the first form of exercise that endurance athletes typically consider, they can certainly benefit from regular visits to a climbing wall, especially during the off-season. First off, the sport is just as mentally demanding as it is physically challenging. With this in mind, rock climbers—much like endurance athletes—must “stay in the moment,” according to Ronken, as they’re often in situations in which they’re pushing their bodies and minds to the limit. Ralph Woolard, head-route setter at Maggie Daley Park, also considers rock climbing a complement to most endurance sports. In addition to improving endurance athletes’ mental strength, rock climbing also offers them a unique strength training method, according to Anna Bifano, a climbing wall instructor at Lakeshore Sport & Fitness. Due to the variety of muscles that are utilized on a wall (not to mention the positive mentality that’s required), rock climbers can not only train for a wide array of athletic endeavors—swimming, bicycling, yoga, rowing—but they can also train for rock climbing by participating in those endeavors. The bottom line? Rock climbing is a win-win for any endurance athlete in the off-season. If endurance athletes have just begun to rock climb, Nguyen, Schafer and Woolard advise them to train for the climbing wall in one particular way: climb, climb, climb, as they need to learn how to move on vertical terrain. As they become more experienced, they should focus on identifying and then improving their weaknesses while implementing basic techniques. 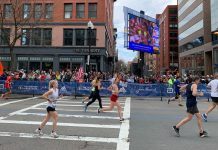 “I’d advise athletes to concentrate on keeping their arms straight, using their legs, utilizing the edge of their shoes and keeping their hips in towards the wall,” Nguyen suggests. Climbing training, as a whole, can be broken down into four categories—strength/power, technique, flexibility and mental—according to Daniel Rudolph, climbing and fitness manager at Brooklyn Boulders. Technique is trained so that athletes learn how to apply their strength and power to the climbing wall in the most efficient way possible. Meanwhile, flexibility is just as critical, as athletes must distribute their weight properly from their upper bodies to their lower bodies. Ronken also advises athletes to consider developing an overall training program for climbing, similar to other sports, with regards to the phases that are involved.